The Canadian Composites Manufacturing R&D Inc. (CCMRD) reaches its five-year anniversary this spring and is working towards evolving into a second five-year term. 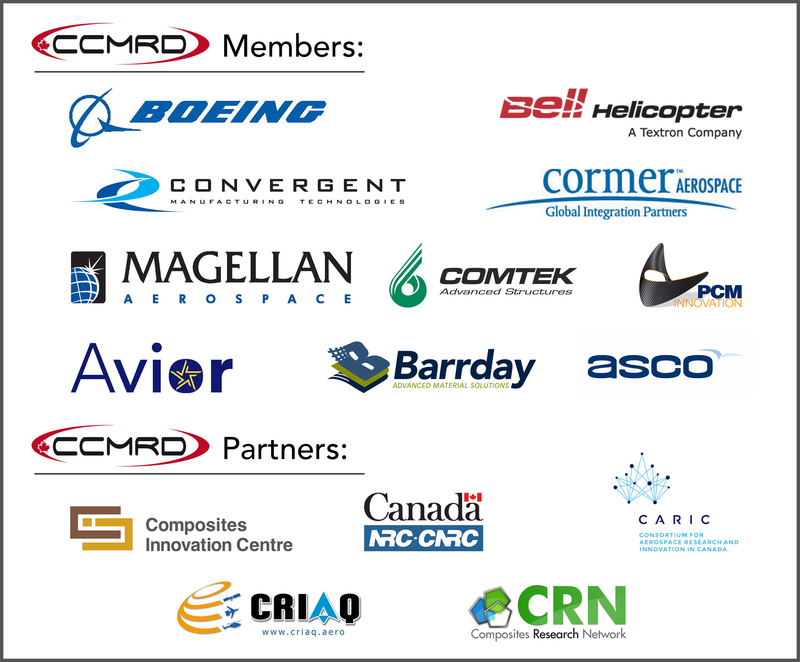 The CCMRD is an industry-led consortium that develops and demonstrates advanced composite manufacturing technologies in Canada. It launched in 2010 in partnership with the Composites Innovation Centre (CIC) and has grown to have support from all across Canada with its 10 member companies and 5 partner organizations. Over the past five years, the CCMRD has given companies a framework enabling collaboration on leading-edge technology development projects. 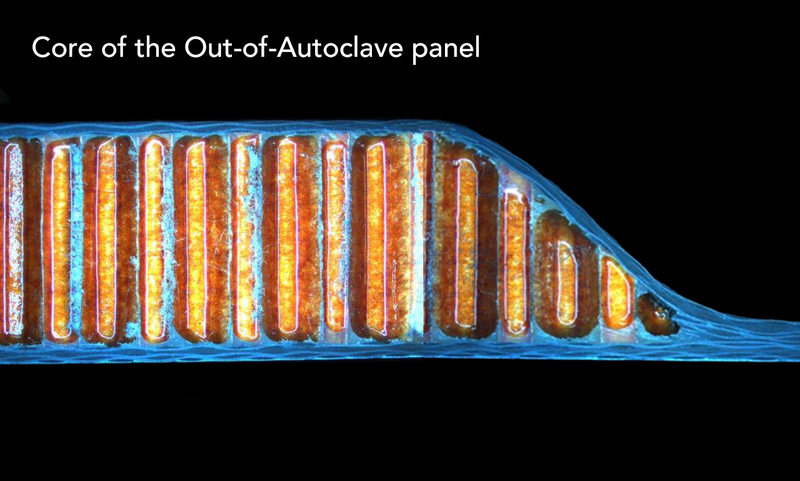 Several technical projects have been completed including Out-of-Autoclave Processing, Dimensional Control, High Temperature Composites and Next Generation Factory Sensor Technology. 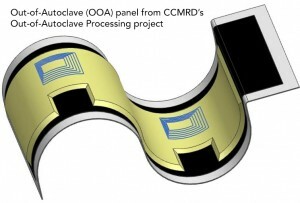 Most recently, the CCMRD has shifted its focus from doing technology thrusts, which are projects focused on particular technology areas, to performing work on the technology demonstrator level. It’s still going to be industry-led but how the projects are structured will change to engage small-to-medium enterprises (SMEs) to a higher degree and help them develop their capabilities to be able to eventually commercialize products on their own that are targeted at Original Equipment Manufacturers’ (OEM) requirements. 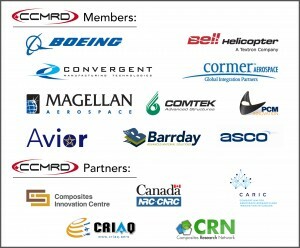 “We are evolving based on our lessons learned, realizing that the future of the Canadian industry is moving towards demonstrators and there needs to be solid links established with newly created collaborators such as CARIC (Consortium for Aerospace Research and Innovation in Canada),” said Gene Manchur, CCMRD Executive Director and Vice President, Aerospace, Materials and Processes, CIC. The Composites Innovation Centre has played a key role in helping the CCMRD to succeed by providing management services to organize, administer and lead the consortium. The CIC continues to support the CCMRD with the realignment of its mandate and operations to enable it to increase its relevance to industry partners. In collaboration with Antex Western, the Composites Innovation Centre has been working on understanding the feasibility of recycling waste FRP (Fibre Reinforced Polymer) materials from Winnipeg-based composite manufacturing facilities, to be able to divert the waste materials from municipal landfills to an end user with a final product. The benefits of successful FRP recycling include reducing landfill waste, increasing revenue from making existing products greener, developing new green products and selling the recycled fibres into other markets. 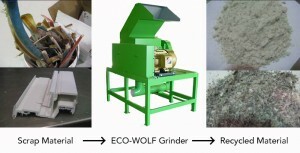 This project determined that FRP waste can be processed in a safe manner using a mechanical grinding technique and there is enough of it to support a number of potential product lines including reinforcements for concrete applications, soil stabilization and composite fillers. The price-per-kilogram of FRP recycled material was calculated for specific applications; In the case of longer fibres – about 25% of the recycled material – this was estimated to be $1.04 / Kg. ($0.47 / lb. ), which provided an economic advantage of more than 50% when compared to other commercially available materials. It was also determined that manufacturing companies, if they recycle their FRP materials, could save approximately 52% on scrap costs due to the diversion of waste from landfills. Overall this project was successful in demonstrating the potential for recycling FRP materials and the savings not only in costs, but for the environment. This has led to a follow-on project to develop a pilot-scale processing capability to anchor a supply chain necessary to recycle FRP materials. 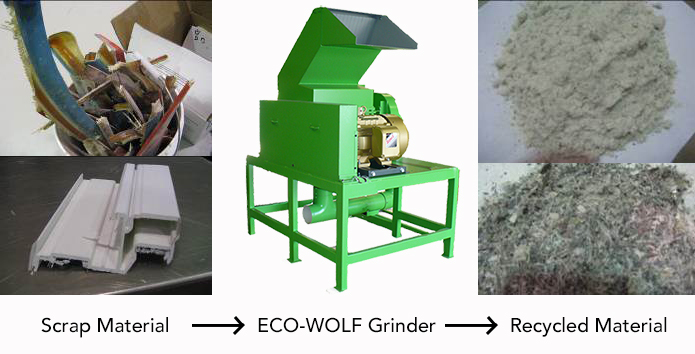 More specifically, a pilot-scale FRP recycling system will be designed by ECO-WOLF, a Florida based company, and implemented in Manitoba. 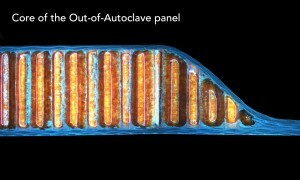 This will provide specific products for testing and incorporation into end applications. In parallel, a supply chain will be assembled enabling commercialization opportunities to be realized once the technical aspects have been proven.